Blockchain technology took some time to find its true potential. It has always been associated with digital currencies such as Bitcoin and Ethereum. This technology has since been extrapolated for use in other industries, but there is still more potential here. In India especially, blockchain is at a very nascent stage. But states like Andhra Pradesh and Telangana are working towards using blockchain for public sector records like for property or vehicle registration. The banking, financial services and insurance (BFSI) sector was among the first ones to adopt Blockchain. Now it is being used in the healthcare as well as the public sectors. In fact, digitising land and property records in India is a major Blockchain use being considered by the Central Government. This week Thailand’s opposition party — Democrat Party, has become the first major party in the world to carry out primary elections entirely on a blockchain system. According to a news website, the e-voting system used by Democrat Party was powered by Zcoin. Using this method, the party successfully conducted its primary elections between 1-9 November, which involved more than 120,000 voters. Reportedly, Zcoin used the InterPlanetary File System (IPFS) to store encrypted data packets which contained identifying documents and voting numbers. These were then saved on the Zcoin blockchain, which guaranteed that they were unmodifiable and accurate to both the Thai Election Commission and the party candidates. Now, blockchain has found another purpose. 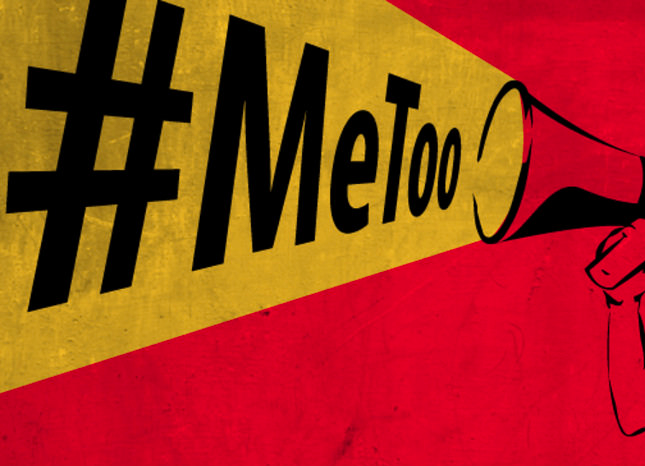 Over the last couple of years, more and more number of stories are being shared on social media surrounding sexual harassment and abuse, especially in the case of women. While the rest of the world found its voice and called out the perpetrators, China, which is governed by the Communist Party of China, has had a hard time speaking against sexual abuse, in the highly-controlled and closely watched world wide web. This is where blockchain came to the rescue. As the Chinese government and technology platforms were making attempts to filter out and censor stories about top persons misusing their power to sexually harass employees and colleagues, campaigners tried out using different hashtags to keep the stories together and in the limelight. Now with the help of blockchain and clever tags, these stories are still being circulated and showcased to the world and perpetrators are brought to light. November also marked the first time an art auction with as large a price tag as $317,801,250 has been recorded on a blockchain in the world. At the famous Christie’s auction house in New York, this transaction took place via a secure digital registry administered by Artory, a leading art-centric technology provider.“The introduction of this technology for the sale of the Barney A Ebsworth Collection continues Christie’s legacy of leading the industry by introducing innovations in the context of major collections, for the ultimate benefit of our clients,” said an official press statement by Christie’s.